Words by Kevin Doocey on April 21, 2014 .
came against his old club, in the stadium where he built the very reputation that earned him a shot at the biggest job in English football. Then again, football is a game which takes no prisoners, and it will move on just like it did when Ferguson called time on his career. Firstly, it is probably worth mentioning out of respect that David Moyes - at the time of writing - is still, officially, manager of Manchester United. However, it is a testament to the feel around St. James’ Park when I am writing an article suggesting potential candidates to replace our current manager, Alan Pardew. With that said, here’s three reasons why I believe David Moyes could succeed as NUFC manager. David Moyes worked under almost tedious conditions at Goodison Park. Funds were hard to come by but when they did, Moyes almost always spent wisely and his investments usually paid him back on the pitch. Marouane Fellaini, Leighton Baines, Mikel Arteta, Tim Cahill, and even ex-Toon man Sylvain Distin all proved wise purchases during his time at Everton. At Newcastle, while it is common knowledge that there are considerable funds available at the club for investing in the squad, money is only ever released when the right player is identified. Moyes would be able to work under such conditions and under a budget slightly bigger than what he had to deal with at Everton. The Scot has proven that he can deal with limited funds, and let’s be honest - he wouldn’t be allowed to splash £65m in one season at St. James’ Park..
Maybe I’m a little harsh in saying this, but it seemed like David Moyes had no idea what to do with big money. He spent a staggering £27m on Fellaini, before parting - in a rushed fashion - with the guts of £40m for Juan Mata. Big name players besides the aforementioned Spaniard did not seem to want to join Manchester United - Thiago Alcantara’s decision to opt for Bayern Munich just one example. With Graham Carr leading scouting missions to various parts of Europe, it would suit Moyes to bring through high-potential calibre players. Moyes signed Arteta from Real Sociedad for £2m during his time on Merseyside in what proved to be one of his better captures. Tim Cahill arrived from Milwall for pennies in another classic buy from the Scot - in other words, he knows what it entails. Moyes is better dealing with a bracket of players like such, and at Newcastle, it is rather unlikely that we will be seeking the acquisition of the likes of Juan Mata any time soon. David Moyes will be first man to admit he has done a poor job at Manchester United, and that perhaps the job was a little too big for him. He will likely admit that he found it very difficult to resume duties from Alex Ferguson, and he might even accept the fact that his dealings in the transfer market were not sufficient. Would Alan Pardew do the same? I’m not so sure. The early reports emerging from the mass media is that Moyes’s departure may not be necessarily a sacking, but a mutual agreement to part ways. In other words, both parties accepted the decision to terminate the relationship, with the Scot getting a designated pay-off for his efforts. Pardew will never resign as Newcastle boss out of pride and because he knows he’ll never get a job as good again. Moyes would surely give an honest account in post-match interviews, and in general - promote honesty as manager of the football club. We need someone like that again, not a manager that talks riddles, his latest claiming he could have stopped Swansea City’s winner on Saturday if he had been on the sidelines - rather than the stands. So - while I’m not saying David Moyes is my number one choice as the next manager of Newcastle United, I am sure he would succeed in the post, and would be more determined to prove a point following a pretty disastrous time in Manchester. There are many other figures that I would prefer replace Pardew, but whether such a position will come available is quite another matter. Anyway, what do you folk think? Comments in the section below, and make sure you’re following me on Twitter if you aren’t already! I'd have him in a flash As you have pointed out he would suit or club down to the ground. i too would have him in a flash, excellent choice to instill some metal and fight into what a consider a lazy, borderline sulking team. get them grafting i say. first get them busting a gut for one another, then the rest will follow. far better choice than pullis or sherwood who have been linked. Or take it in another direction and go for Laudrup - the football swansea were playing before their european adventure was beatiful to watch, and if anything it led them to their first ever major trophy something newcastle could do with. yes! 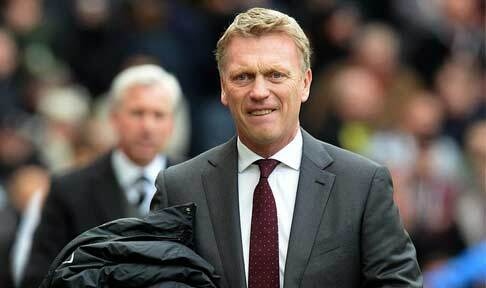 in humbleness Mr Moyes, please come and save our club! We're not expecting perfection, but at least some honesty and grit in the team.. and give Moyes some time and resource to build the team mentally and physically also..
Whats the point on talking about possible replacements for Pardew when in reality it would not make any difference to the current squad of players let's be honest with ourselves until we rid ourselves of the main protagonist Ashley, nothing will change, as the new manger would still have to toe the Ashley line. ASHLEY OUT!!!!!!! That's the real question - was he actually underachieving at Goodison Park? Either way, I think we can all agree that while he would not be any of out 1st choice as next manager, he'd be an improvement on Alan Pardew. Porciestreet; Our problems started with Cashley and the healing will begin when the fat grasping git is no longer with us. Mark my words. Howaaaaaaaaaaaaaaaaaaaaaaaaaaaaaaaaaaaaaay the Lads. I like your style, Arthur. He does look like a prospect - could have potential to be a very successful manager, he's certainly working wonders down at Bournemouth anyway. However, it is a big step up, and recruiting him could land NUFC in a similar position to a side not too far up the road that did a similar job in appointing a lower-league manager. Saying that, I do think he would be an improvement on the current señor in charge - Howe has great potential. Moyes defo...ashley get on the phone and get him in before someone else does.